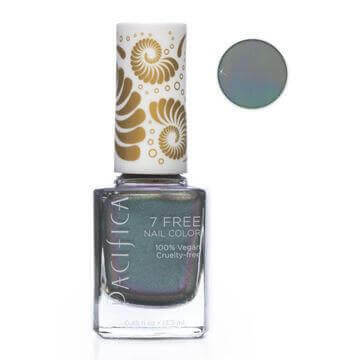 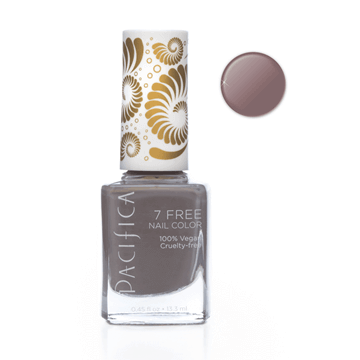 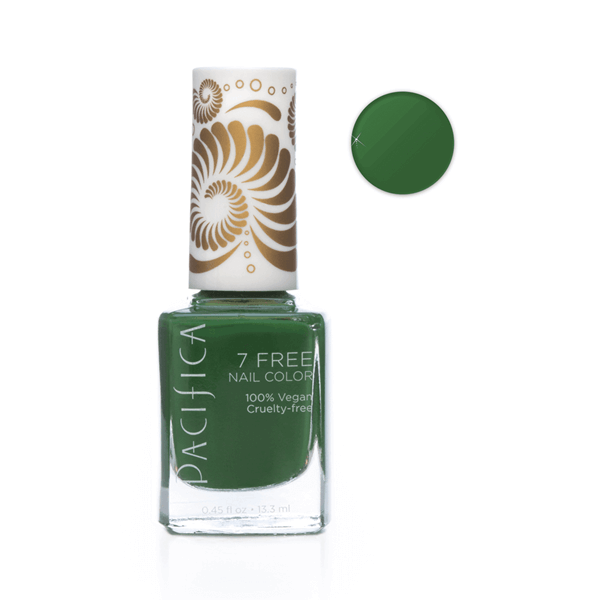 Pacifica 7 Free Nail Polish is long lasting and void of many chemicals that one would find in traditional nail polish. 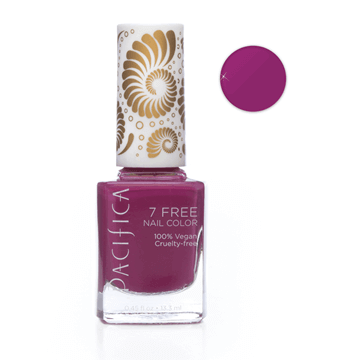 Amazing vibrant colours that go on smooth and stay put. Made with a custom wide 100% vegan brush for easier application. 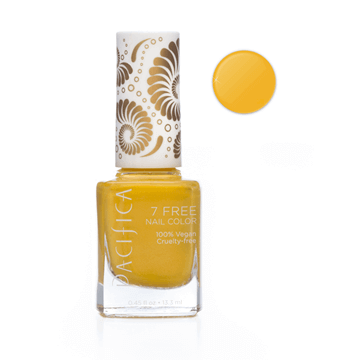 This range is not all natural, however is formulated without parabens, phthalates (dibutyl phthalate), toluene, xylene, camphor, formaldehyde, resin, and animals. PLEASE NOTE: Due to Postal and Customs regulations, we are unable to ship this product outside of Australia. 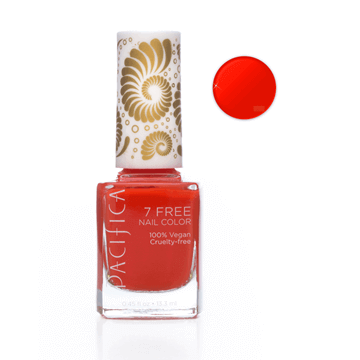 Apologies for any inconvenience. 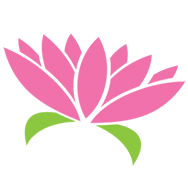 Butyl Acetate, Ethyl Acetate, Nitrocellulose, Adipic Acid/Neopentyl Glycol/Trimellitic Anhydride Copolymer, Acetyl Tributyl Citrate, Isopropyl Alcohol, Styrene/Acrylates Copolymer, Stearalkonium Bentonite, n-Butyl Alcohol, Benzophenone-1, Silica, Alumina, Trimethylpentanediyl Dibenzoate, Polyvinyl Butyral MAY CONTAIN (+/-): (CI 77000), Oxides (CI77499 / CI 77491), Red 34 Lake (CI 15880), Red 6 Lake (CI 15850), Red 7 Lake (CI 15850), Yellow 5 Lake (CI 19140), Ferric Ammonium Ferrocyanide (CI 77510), Mica (CI 77019), Blue 1 (CI 42090), Yellow 11 (CI 47000), Titanium.